After its defeat in the war, Japan was a poor, humbled nation governed by an occupation army. Morihei Ueshiba was residing with his wife, Hatsu, in the small village of Iwama where he had "officially" retired in 1942. The Ueshibas led a frugal life, growing rice and raising silkworms, assisted by a few live-in and local students who practices aikido under the founder. Ueshiba was in his sixties and the possessor of a powerful physique resulting from decades of hard training. Freed for the first time in many years from heavy teaching responsibilities, the founder could at last pursue his personal training and ascetic activities with undistracted intensity. Although Ueshiba had taught tens of thousands of students prior to the war, the aftermath of the horrible conflict left him severed from all but a handful of his former disciples. The practice of martial arts had been prohibited by the General Headquarters of the Allied Forces, but this edict was unevenly enforced even in urban areas and was of little consequence in the countryside of Ibaragi Prefecture. 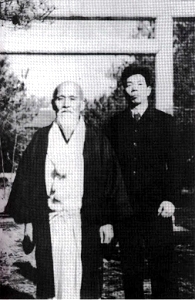 During these early postwar years, Morihei Ueshiba called his country residence "Aiki En" (Aiki Farm) to de-emphasize his martial arts activities, in deference to the GHQ ban. Morihiro Saito was a skinny lad of eighteen when he summoned up the courage to seek out the founder in the summer of 1946. He was born on March 31, 1928 in a small village a few miles from Ueshibas dojo. A typical Japanese youngster, young Morihiro admired the great swordsmen of feudal Japan such as Matabe Goto and Jubei Yagyu. Boys in Japan prior to and during World War II were embarassed not to have some understanding of judo and kendo, and these arts were taught as a part of the required school curriculum. Young Saito had opted to learn kendo in school. As a teenager Morihiro took up Shito-ryu karate in the Meguro district of Tokyo where he was then working. His karate training in Tokyo did not last long, as he soon moved back to Ibaragi Prefecture to work for the Japan National Railways. Saito then decided to take up judo because he felt that if he knew both karate and judo he would have nothing to fear in a fight. Judo was good in a hand-to-hand situation while karate was superior to kendo because on also developed kicking skills. The karate school was fairly quiet, but the judo dojo was like an amusement park with children running all around. That was part of the reason I became tired of judo. Also, in a fight, a person can kick or gouge whenever he wants to, but a judo man doesn't have a defense for that kind of attack. So I was dissatisfied with judo practice. Another thing I disliked was that during practice the senior students threw the junior students, using us for their own training. They would only allow us to do a few throws when they were in a good mood. I thought they were very selfish, arrogant, and impudent. There was this old man doing strange techniques up in the mountains near Iwama. Some people said he did karate, while a judo teacher told me his art was called "Ueshiba-ryu judo." It was frightening up there and I was afraid to go. I had a very strange feeling about the place. It was eerie, but some of my friends and I agreed to go up and have a look. However, my friends got cold feet and failed to show up. So I went alone. It was during the hot season and I arrived in the morning. O-Sensei was doing his morning training. Minoru Mochizuki directed me to where O-Sensei was training with several students. Then I entered what is today the six-tatami mat room of the dojo. While I was sitting there, O-Sensei and Tadashi Abe came in. As O-Sensei sat down Abe immediately placed a cushion down for him. He really moved fast to help O-Sensei. Sensei stared at me and asked, "Why do you want to learn aikido?" When I replied that I'd like to learn if he would teach me, he asked, "Do you know what aikido is?" There was no way I could have known what aikido was. Then Sensei added, "I'll teach you how to serve society and people with this martial art." I didn't have the least idea that a martial art could serve society and people. I just wanted to become strong. Now I understand, but at that time I had no idea of what he was talking about. When he said, "for the benefit of society and people," I wondered how a martial art could serve that purpose, but as I was eager to be accepted, I reluctantly answered, "Yes, I understand." Although Ueshiba had accepted the young Saito as a student, the seniors at the dojo severely tested his resolve. Saito recalls the aches and pains of his early training days and how he felt it would have been preferable "to have been beaten up in a fight!" On one occasion during practice, he had to remove a bandage protecting an injury to avoid being ridiculed. If he showed the slightest trace of pain on his face, his seniors would torture that part of his body even more. Soon, however, the determined young Morihiro had proved his mettle and gained the respect of his seniors. He remembers with gratitude how he was kindly taught by people such as Koichi Tohei and Tadashi Abe. The founder's teaching methods in Iwama were very different from his approach during the prewar years. In earlier years, it was his custom to merely show techniques a few times with little or no explanation and then to have students attempt to imitate his movements. This was the traditional method of martial arts instruction and students had to do their best to "steal" their teacher's techniques. But now, Ueshiba had the luxury of being able to devote his full energies to his personal pursuit with just a few close students. As I look back on it, I think the brain of the founder was like a computer. During practice O-Sensei would teach us the techniques he had developed up to that point as if systematizing and organizing them for himself. When we would study one technique, we would systematically learn related techniques. If we started doing seated techniques, we would continue doing only that, one techniques after another. When he introduced a two hand grab technique, the following techniques would all begin with the same grab. O-Sensei taught us two, three or four levels of techniques. He would begin with the basic form, then one level after another, and finally the most advanced form. The founder stressed every little detail should be corrected. Otherwise it wasn't a technique. The senior and juniors would practice together and the juniors would take breakfalls. When the seniors finished the right and left sides and the juniors' turn came, it was already time for the next technique. Though he didn't have many students at that time, O-Sensei used to throw everyone at least once. Sometimes while some of the senior students were practicing with O-Sensei, we waited our turn to be instructed by him personally. Saito's job with Japan Railways was a stroke of good fortune as far as his aikido training was concerned. His work schedule of twenty-four hours on and twenty-four off left him free to spend a great deal of time at the Ueshiba dojo. As a result, he was allowed to participate in the early morning sessions normally reserved for live-in students. These morning practices consisted of about forty minutes of prayer while seated upright in front of the altar of the Aiki Shrine, followed by weapons training as the weather permitted. 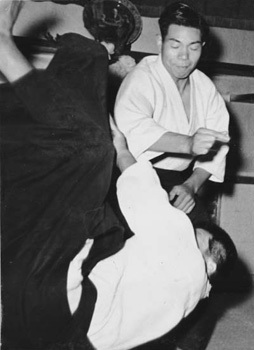 At this stage of his life, the founder was engrossed in the study of the aikiken and jo and their relationship to empty-handed techniques. 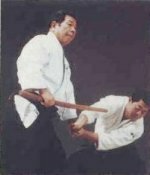 He was experimenting with the basic weapons forms which Saito would later formalize into a comprehensive system to complement the empty-handed techniques of aikido. O-Sensei just told us to come and strike him. Sword practice began from there. Since I had practiced kendo when I was a boy, I somehow managed to cope with the situation. Then he told me to prepare a stand for tanre-nuchi, or sword-striking training. So I gathered some wood and used it to build a stand. 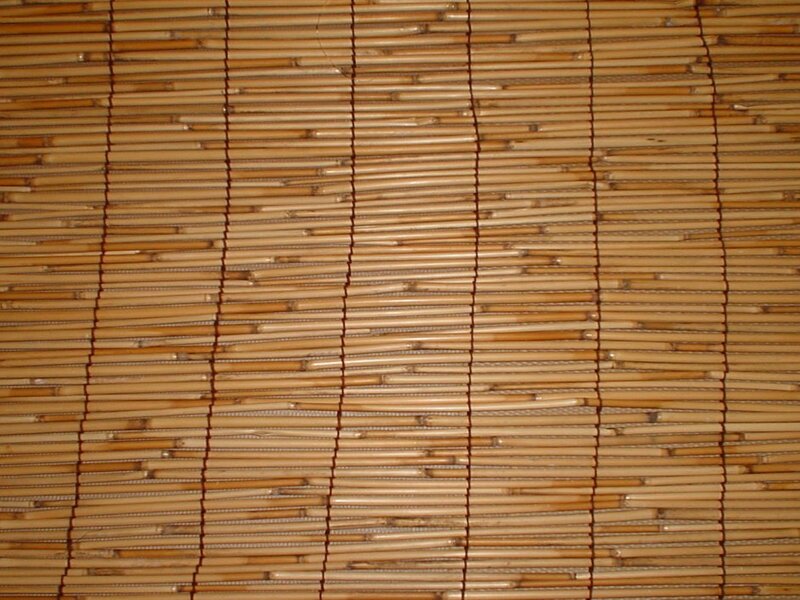 However, O-Sensei got angry and broke it with his wooden sword. He said to me, "This kind of thin wood is useless!" As training advanced, we were taught what we now call ichi no tachi, the first paired sword practice. O-Sensei taught us this one technique for three or four years. The only other thing we did was to continue striking until we were completely exhausted and had become unsteady. When we had reached the point where we were no longer able to move he would signal that that was enough and let us go. That was all we did for morning practice every day. In the last years, I was taught by Sensei almost privately. The widespread poverty of Japan in these years made it increasingly difficult for the few students at the Iwama Dojo to continue practicing. One by one, work and family obligations compelled them to abandon their training until only a few students came to practice. Seeing Morihiro's devotion and enthusiasm toward training, Ueshiba gradually began to rely on him more and more in his personal life. Finally, only young Saito was left to serve the founder on a regular basis. Even after his marriage, Morihiro's passion for training continued unabated. 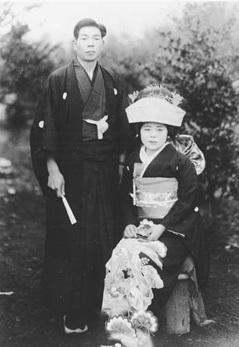 In fact, his young bride began to serve the Ueshibas too, and personally looked after O-Sensei's elderly wife, Hatsu. In the end only a small number of senior students from this area and I were left. But finally, after they were married, they could no longer come to the dojo, since they had to work hard at their jobs. Whenever Sensei was here we would never know when he would call us to help him. Even if we had already asked a neighbor to help thresh rice, if Sensei happened to call us and we didn't come, the consequences were terrible! Eventually, all of the students stopped coming to the dojo in order to maintain their own families. I could continue because I was free during the day though I went to work every other evening. I was lucky enough to have a job, otherwise, I wouldn't have been able to continue. I could live without receiving any money from O-Sensei because I was paid by the Japan National Railways. O-Sensei had money, but the students around here didn't. If they came to Sensei they would have had no income. they would not have been able to raise rice for their families to live on. Serving the founder was extremely sever even though it was just for the study of a martial art. O-Sensei only opened his heart to those students who helped him from dusk to dawn in the fields, to those who got dirty and massaged his back, those who served him at the risk of their lives. As I was some use to him, O-Sensei willingly taught me everything. The founder amply demonstrated his great affection for and trust of young Saito. When Morihiro took the initiative in helping O-Sensei favorably resolve a land dispute, he presented Saito with a parcel of land on the Ueshiba property. It was here that Saito built a home and where he, his wife and children lived and served the founder. By the late 1950's, the years of intensive training under the direct tutelage of the founder had transformed Saito into a powerful man and one of the top instructors in the Aikikai system. He taught regularly in Iwama Dojo in Ueshiba's absence and was asked to substitute for Koichi Tohei at his dojo in Utsunomiya when Tohei traveled to Hawaii to teach Aikido. 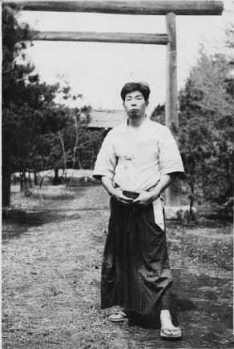 Around 1960 Saito also began to instruct on a weekly basis at the Aikikai Hombu Dojo in Tokyo and was the only teacher besides the founder himself permitted to teach aikido weapons there. His classes were among the most popular at the headquarters school and for many years Tokyo students gathered on Sunday mornings to practice free-hand and weapons techniques with Saito. 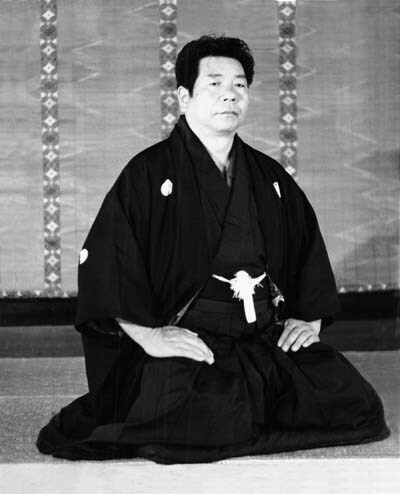 After the founder's death on April 26, 1969, Saito became chief instructor of the Iwama Dojo and also the guardian of the nearby Aiki Shrine. He had served the founder devotedly for twenty-four years and O-Sensei's passing only strengthened his resolve to make every effort to preserve Ueshiba's aikido legacy intact. Over the years, Saito has established a wide network of instructors outside of Japan who teach "Iwama-style aikido", as his form of aikido has been informally christened. Iwama aikido has become synonymous with training with a balanced emphasis on emtpy-handed techniques and weapons practice, in contrast with many schools which train only in free-hand tachniques. Presently the live-in system (uchi-deshi) for students continue in Iwama dojo and the live-in system gives participants of the opportunity to train intensively in aikido and learn the use of the aiki ken and jo. For the past twenty years, literally thousands of students have journeyed from abroad to study under Saito. Often the foreign practitioners outnumber their Japanese counterparts at the Iwama Dojo. 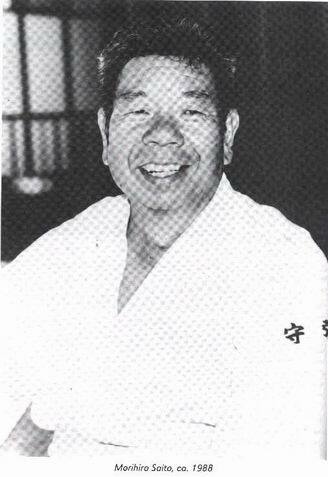 After unfortunate passing of Saito Sensei on 13th may 2002, his son Hitohiro Saito Sensei is continuning his six-day-a-week schedule conducting morning classes on the aiki ken and jo for live-in students and general practice in the evenings when he teaches empty-handed techniques. On Sunday mornings, weather permitting, Saito leads the general class outdoors, and provides instruction in aiki ken and jo. 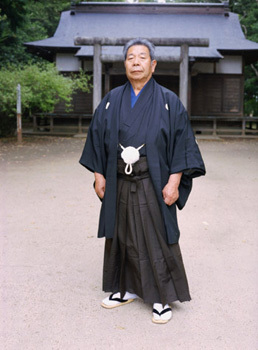 Perhaps Morihiro Saito's success as a leading teacher of aikido lies in his unique approach to the art, his blend of tradition and innovation. On the one hand, he is totally committed to preserving intact the technical legacy of the founder. At the same time, Saito has displayed great creativity in organizing and classifying the hundreds of empty-handed and weapons techniques and their interrelationships. Furthermore, he has devised numerous training methods and practices based on modern pedagogical principles to accelerate the learning process. 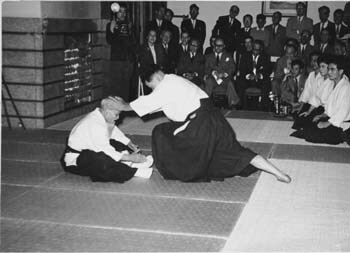 In the aikido world today, there is an increasing tendency for practitioners to regard the art as primarily a "health system" and the effectiveness of aikido technique is little emphasized in many quarters. In this context, the power and precision of Morihiro Saito's art stand out in great relief and, due to his efforts in the past and due to the efforts of Hitohiro Sensei and a few other dedicated teachers around the world, aikido can still be regarded as a true martial art.